A pure line of products that combine natural formulas, high quality ingredients and properties. Pure and natural ingredients enhanced by a fresh and sophisticated fragrance. 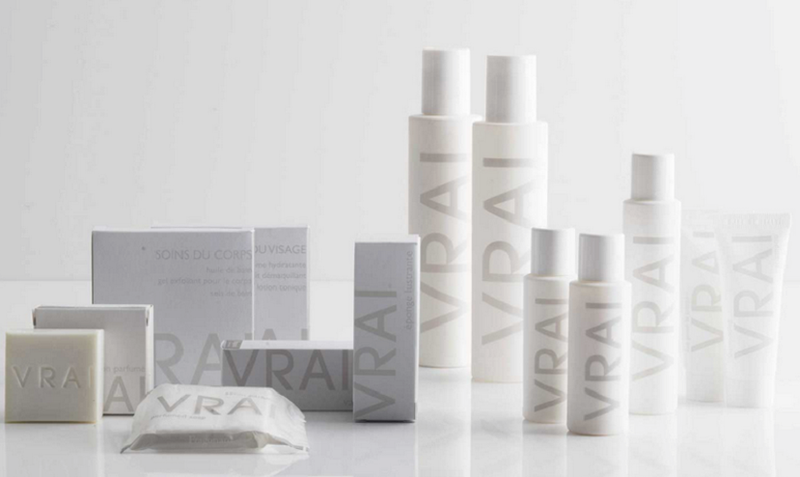 The VRAI line comes in a clean white packaging, covered in a rubber fabric, giving it a surprising and comfortable soft touch feeling. A real, pure and simple product line that reflects the essence of an efficient, modern and authentic beauty treatment.